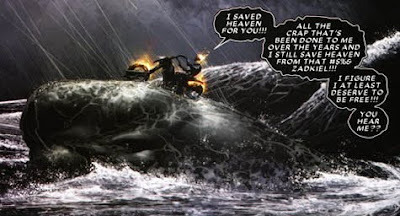 Ghost Rider, trapped by Hand magic into been the Kingpin's lackey, decided to have a bit of a talk with God and see what he can do about the situation. Figuring Churches and other usual places of worship are so 2009, he takes a leaf from Aquaman's book, and has a natter with the almighty atop a giant whale, in the middle of a roaring ocean. 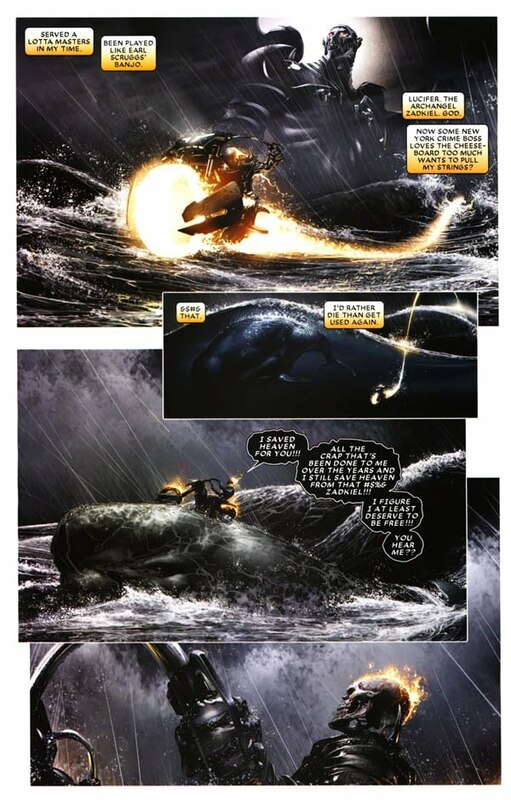 I thought this scene was pretty awesome...too bad the rest of the issue couldn't have been as good! Likewise Marc - the other high for me was the art. It really made ol' G.R pop!